Just when you thought companies and manufacturers have finished launching their new tablets for the holiday season, the folks over at Toshiba have introduced a new contender. The 10-inch Excite 10 SE tablet will be available for $350 beginning Friday, the company announced on Tuesday. 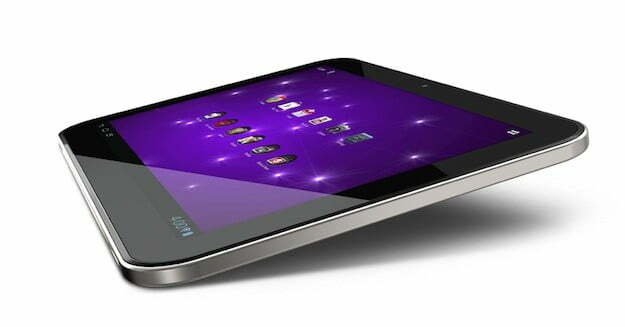 Android lovers should note that Toshiba’s new tablet will ship with Android 4.1 right out of the box. The 10-inch slate also boasts a Nvidia Tegra 3 quad-core processor that clocks in at 1.5GHz, an AutoBrite HD screen featuring a 1280 x 800 pixel resolution and stereo quality speakers. The Excite 10 SE measures in at 0.4-inches thick and weights 22.6 ounces. Users will find a 3-megapixel rear- facing camera with auto focus and digital zoom in addition to a front-facing HD camera. Bluetooth 3.0 and 802.11 b/g/n Wi-Fi capability is also included, and the tablet features microSD and Micro USB ports for expanded storage. This marks Toshiba’s third 10-inch tablet in the Excite line to date. The first slate of this size to debut under the Excite brand featured specs nearly identical to the new device. The original 10-inch Excite, however, came with a 5-megapixel rear-facing camera rather than a 3-megapixel camera and had a slightly less powerful 1.3GHz processor. However, the most noteworthy difference between the two similar tabs is the discrepancy in price. The 16GB of Toshiba’s first-generation Excite 10-inch tab was priced at $450, while the new gadget starts at $350 for the same storage capacity. Toshiba touts its Excite 10 SE to offer the best 10-inch tablet experience for that price, as most larger-sized slates begin at around $400. Asus’ Transformer Prime is one of the few 10-inch tablets that fall in that price range, sporting a price tag of $345. The low price will certainly give Toshiba an advantage, but in an industry so saturated it can be tough to compete with the likes of Apple or Google. The Excite 10 SE will be available at the end of this week through ToshibaDirect.com and other select retailers.